Have you thought about having a fireplace in your home? Or maybe you already have one but it needs a bit of repair. 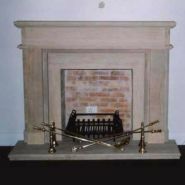 Here at Victorian Fireplaces, we specialize in the production of fireplaces made from a variety of different materials which have different styles & properties. These include: Wood, Marble and Sandstone. We also create unique braai areas. 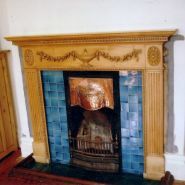 Our mantle pieces are produced from a variety of materials each having their unique styles and properties. These materials include wood, marble and sandstone. 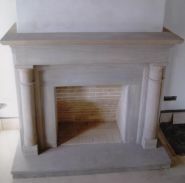 We manufacture mantelpieces for each fireplace. 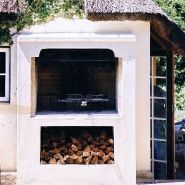 Due to the fact that open-type fireplace is built to order, we also make fire grates and ironmongery work to order, so that they fit the fireplace. 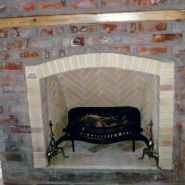 We have firedogs, old fashioned grates, and Victorian fireplace in stock and a showroom where you are able to view samples. 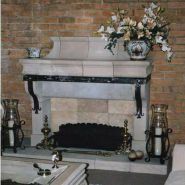 We also specialize in the manufacturing and customizing of chimney pots.